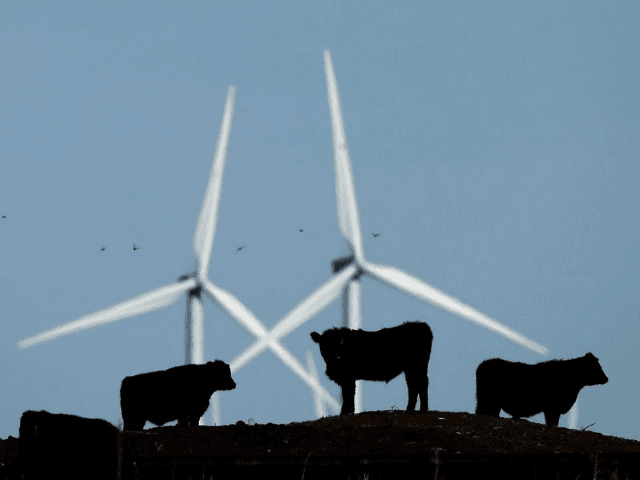 Wind turbines are terrible for the health of the millions of birds and bats they slice and dice every year – and they’re not much good for humans either: they can even stop your heart working properly. This was the conclusion of an experiment conducted recently by a medical team in Mainz, Germany, led by Professor Christian-Friedrich Vahl. The wind industry is a massive class action suit waiting to happen. [Especially now that the World Health Organisation has confirmed the health risks – which, of course, just like Big Tobacco, Big Wind has been covering up for years] Indeed, of all the scandals to emerge from the great global warming scam, the wind industry is in my view the worst. Wind power is often billed as cheap, clean, wholesome and safe. 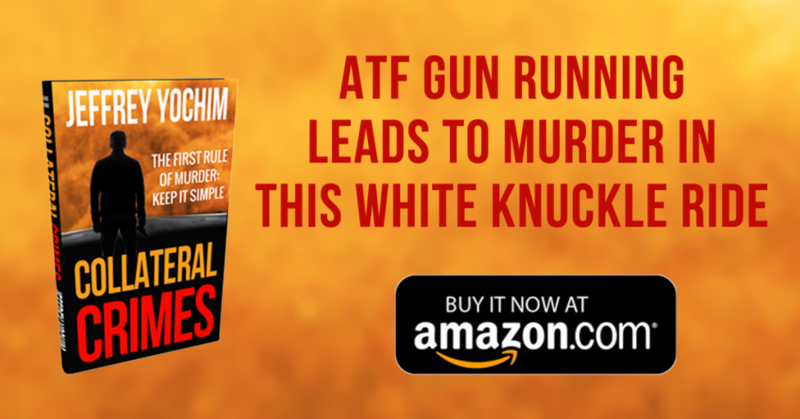 In fact, it’s very expensive, environmentally damaging, harmful to humans and animals – and pretty much useless in the war on climate change. But you don’t get to read the truth very often in the credulous mainstream media which prefers to run the propaganda put out by extremely well-funded wind industry lobbyists. Typical is this farrago of drivel from the BBC. It’s titled: Reality Check: Which form of renewable energy is cheapest? Wind – you guessed it – turns out to be the answer. Which isn’t a particularly big deal when you think about it. The point about renewable energy is that all of it is dramatically more expensive than fossil fuel energy. So being the “cheapest” form of renewable energy is a bit like winning the prize for “thinnest sumo wrestler” or “least unpleasant Antifa activist” or “sanest Remain voter”: pretty meaningless in the great scheme of things. Bylined “Reality Check team” it gives the false impression of diligent research and careful fact-checking. 1) Caroline Lucas claims that the government has “virtually banned onshore wind”. As the BBC Complaints Dept has already been forced to categorically confirm, there is simply no truth in this. The government has simply ended subsidies and (shock, horror!!) allowed local communities to decide whether they want new wind farms or not. This is typical of the lazy, slovenly writing we see so much of at the BBC, where climate change is concerned. The BEIS shows quite clearly that intermittency costs are not included in their costings. Nor, for that matter, are “Whole System Impacts”, such as new transmission lines. If the BBC are going to quote the BEIS report, should they at least take the time to read it properly? 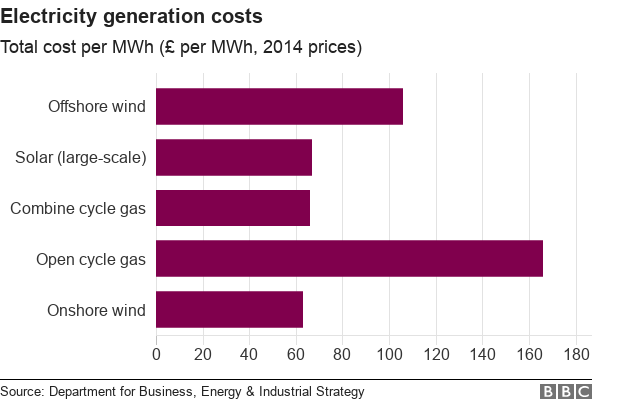 What the BBC fails to point out is that the CCGT cost includes a totally artificial “carbon cost” of £19/MWh. Without this CCGT would be costing £47/MWh. What the BBC and its friends in the Green Party never point out is that investment in new onshore wind projects has dried up to virtually zero since subsidies were withdrawn. If it really was so cheap, why does it still need subsidising? Why does it still need subsidising? It’s a question the wind industry is utterly incapable of answering because if it ever did so honestly the game would be up. The wind industry is nothing more than a subsidy trough for rent-seekers. No matter how much bigger wind turbines get, they’ll still be producing unreliable, intermittent, hugely expensive power of no use to man nor beast.